A contrarian is one who rejects popular opinion. Contrarianism, therefore, is the philosophy that the majority is usually incorrect. I make two contradicting claims in this essay. The first is that we need more ‘contrarian thought’ in the world to promote healthy discourse. The second is that we need less worship of contrarianism. Contrarianism is not about disagreement. It is about thinking for one’s self. Disagreement for the sake of disagreement is not only unpleasant, it is damaging to optimism. I see that most disagreements, especially in conversation, are rooted in ego. People often disagree with you in conversation, only so they can spend more time talking and less time listening. The goal for applied contrarianism is not to reject public opinion for the sake of being different. At least, I believe, that thinking for one’s self can help you get to your own unique outcome (based off of your own unique experiences). My answer is sometimes and maybe. 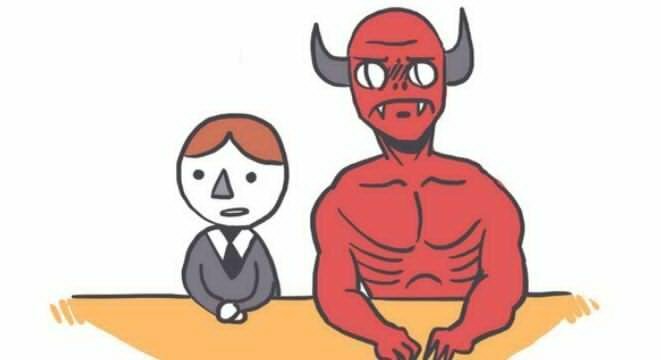 But my goal is not to join the Devil’s team and be his/her spokesperson! My goal is to uncover the truth, by any means necessary. Those are two very different things! Similar, but different! Actually caring about this difference is important to me…because it has numerous implications for day-to-day interactions, and perhaps more importantly, how I think about culture-building at companies. Disagreements in meetings are healthy for discourse. But they should not be the goal! While it is valuable to hear an alternate perspective (and gather a team of diverse backgrounds to do that), it is not efficient to have someone constantly challenging ideas just for the sake of stroking his/her own ego. This essay is somewhat all over the place…the point I am really trying to come to is that “thinking for yourself” is extremely rare and admirable. Disagreeing with everything is not. Applying that to your own life is challenging, but doable.